Folding promotional umbrellas can often be forgotten with so many brands out to have their logo on huge custom golf umbrellas, but there is absolutely a place in your marketing campaign for the smaller, more portable umbrella options. Who Chooses Custom Folding Umbrellas? Huge variety of colours and more pattern options than large umbrellas. Ideal size for people to carry with them in backpacks, briefcases, or handbags. Budget and premium options are available. So rather than looking at these smaller umbrellas as nothing but a "cheap" option, consider them a fantastic means to boost your brand visibility in a fun and functional way. Contact our sales team for more information on these stylish and affordable products. With the weather in Australia heating up this means we’ve also got to prepare for the majestic storms that are sure to scatter our summer. 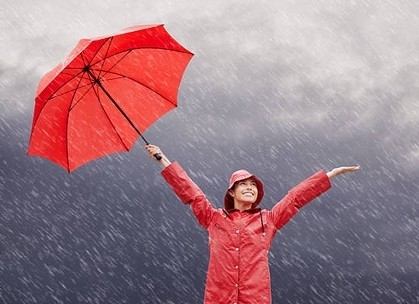 It’s a great time to invest in some promotional umbrellas to make sure you’re never caught out in the rain! 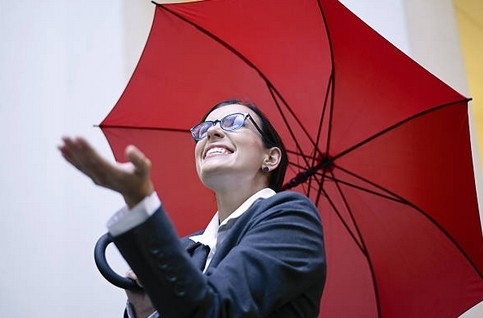 Umbrellas are a fantastic investment for corporate businesses. Staff will love the security it brings knowing that they can pop out for lunch proudly carrying a premium quality umbrella whilst representing your company. We have a range of premium products which vary from being best suited to the golf course, to being for everyday. 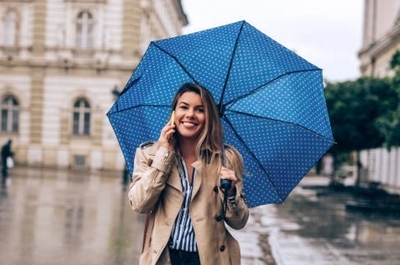 Umbrellas are timeless and will always be a necessity so it is a great product to buy in bulk and have ready for when the inevitable showers do occur. If you want a high-end classic umbrella to beat the brunt of Aussie storms, you can't go past the classic Promotional Blunt Umbrella -- it's tested in a wind tunnel! For an everyday umbrella, our Branded Chicago Corporate style is perfect. There’s nothing worse than an umbrella breaking at the most vital moment (in the middle of a storm) and that’s why this is such a good product! It’s stylish and sturdy so even those strong winds won’t be able to ruin your day. Another great option is a logo-emblazoned sporting umbrella. Lightweight and ideal for a corporate golf event or to have on hand at any outdoor activity in the unfortunate case that the skies open and the downpour commences. Speak to our sales team today about the large range of products and printing options to help personalise and establish a fantastic finished product. 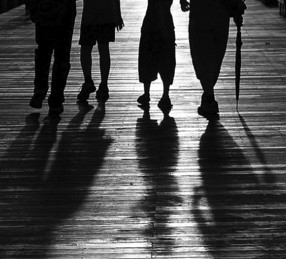 Umbrellas were originally created in Ancient China in around 21 CE. They were made to keep the sun off you, rather than the rain. The word umbrella itself comes from the Latin ‘Umbros’ which means shade or shadow. Please have a look at our range of beach umbrellas and follow this ancient tradition, while staying cool. These ancient umbrellas were made of the finest of silks, so it wasn’t long that this new collapsible shade covering found its way along the silk road through Asia and all the way to rulers in the Roman Empire. If you want the comfort and style of a modern day Roman Emperor, take a look at our Alpha Ray Umbrella. Luckily John’s persistence meant that the use of umbrellas started coming into vogue as umbrellas were no longer seen as a gendered item, but a way to keep both the sun and rain off you when you needed to get from place to place. 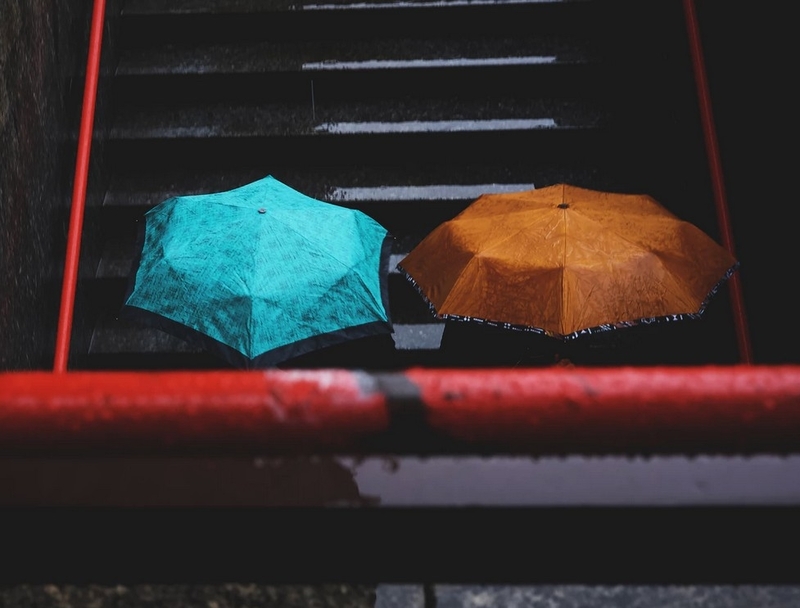 The original design of the umbrella has not changed that much since their creation in ancient China, but since the rise into everyday use in the 1800’s, but some innovation has occurred nonetheless. In 1928 Hans Haupt had the idea to create the cane style umbrella which allowed him to walk more freely after his injuries during the war. This design moved into the more well known collapsible folding umbrellas that are still one of the most popular designs of umbrellas so far. 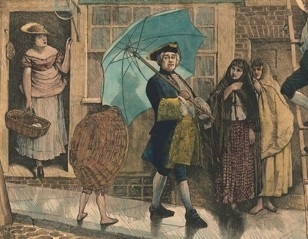 Taking a leaf out of John Hanaway’s book, some umbrellas started even being used as an offensive and defensive weapon, as the shaft of the umbrella can easily conceal a blade. In 1978, Bulgarian president Georgi Markov was hit with a dart from a modified umbrella by KGB agents. This dart was tipped with one of the world’s most deadly poisons called Ricin, and Mr Markov lost his life due to it. Even in the modern day, ex-president of France Nicolas Sarkozy was known to carry a Kevlar coated umbrella to protect himself from bullets if the need called for it. 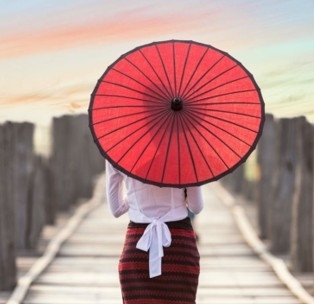 The history of umbrellas is a strange and fascinating one, and the use of umbrellas for a symbol of status is still as relevant today as it was back in ancient China. Use this to your advantage and advertise your brand with our wide range of promotional custom printed umbrellas with the knowledge that you are taking part in the everchanging wild and weird history of the humble umbrella. Here at Umbrella Planet, we see a distinct increase in the number of people ordering promotional umbrellas over the cooler months. Given that the East Coast of Australia is particularly prone to winter showers, it makes a lot of sense that successful Aussie companies would want to promote their brand in this way. What makes umbrellas such an ideal promotional product for the season? It really is quite simple. So what are you waiting for? Boost your brand visibility over winter by investing in promotional umbrellas for staff or clients today. Contact our friendly sales team for information and recommendations today. 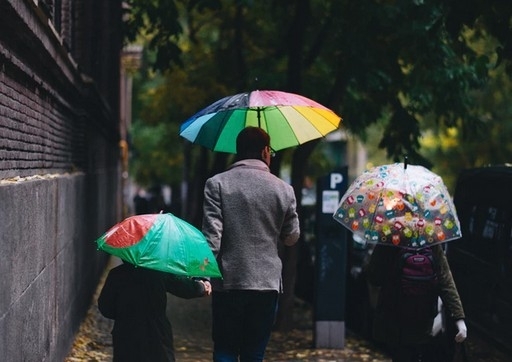 Should You Invest in Bulk Promotional Umbrellas? If you're looking to promote your business using everyday use items that enjoy regular exposure to crowds of people, then promotional umbrellas might be for you. Umbrellas can be decorated cheaply in one colour, or for the added impact, we can brand in full-colour on multiple panels. There are just so many ways to customise an umbrella and tailor it to suit your exact campaign. So what are you waiting for? Contact the sales team here at Umbrella Planet for more information.